Strathisla is the oldest running whisky distillery in the Highlands, and has changed hands and names several times in its two centuries of existence since 1786. Once known as Milltown or Milton distillery, it obtained its current name when it was acquired by Chivas in 1951. As a result, most of Strathisla’s malt now goes into various Chivas Regal blends, and Strathisla single malts are barely promoted at all. 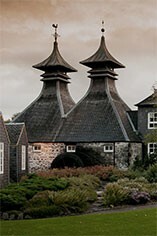 That said, there are several single malt products and their quality tends to be very well-received.